It is Friday again!! We are so lucky that our corporation has today off. I dropped the kids off at daycare, went to pay some bills, went to our local Christian bookstore, got a pedicure and had Chinese for lunch. It has been a pretty relaxing day. 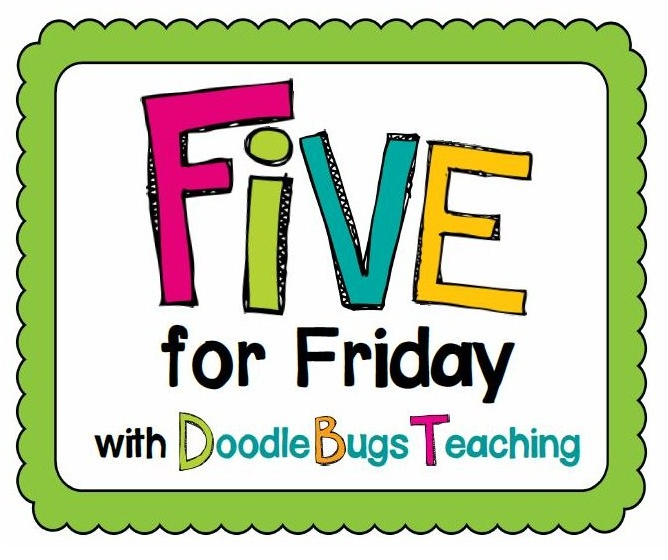 We are linking up again with Doodle Bugs Teaching to share five random things from our week. 1. I received the cutest hand-made gifts from my boys from daycare. Some of you may have already seen this. 2. Stephany, Kathi and I have also been working on classroom theme packs. 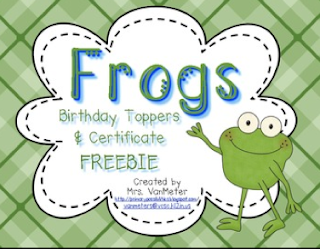 If you plan on having a frog theme in your classroom next year, I have a freebie for you. Click the picture below to link to the freebie. 3. 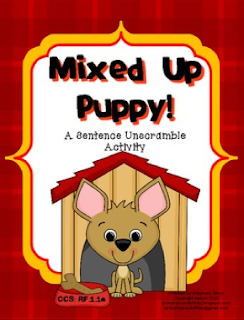 Stephany also has a Mixed Up Puppy Freebie that is great for some end of the year review. 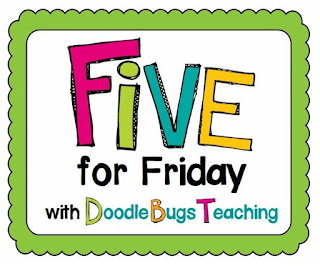 There is a super awesome Teacher Appreciation Blog hop where you can get tons of great freebies for your classroom. Click HERE to go jump on board and pick up some goodies for next year (or this year if you still have time to cram it all in!). 4. 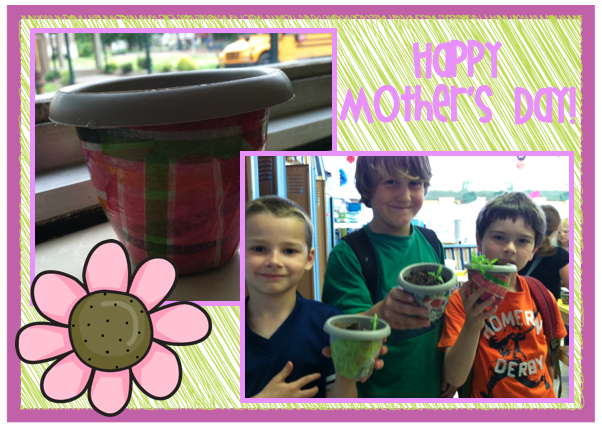 Stephany also made some really neat flower pots with her first graders. She purchased them at the Dollar Tree 4 for $1.00. Then, students tore tissue paper into small pieces and used glue and water to paste the tissue paper onto the pots. Then they sealed them up with some mod podge. Her students planted marigolds from the plant unit a few weeks ago and they transplanted them into the pots. They were super proud of their little gifts because they were truely made by them from start to finish! Here are a few pictures. They turned out darling. 5. We are now super addicted to Instagram. If you haven't started one yet, you need to. Click the icon in #1 to go to Stephanie's Instagram. Stephany's Instagram is below. I love the little planters. Their moms are going to love them. I am already following you on Instagram. I am loving it! Haha I must be following you on Instagram already because I recognise your photos but have only just discovered your blog to follow! Those presents from day care are so sweet! 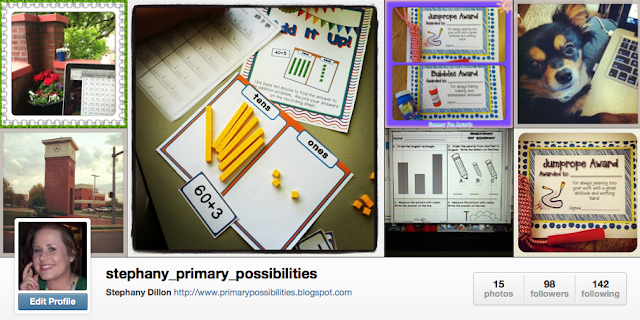 I can see how Instagram can be addictive! 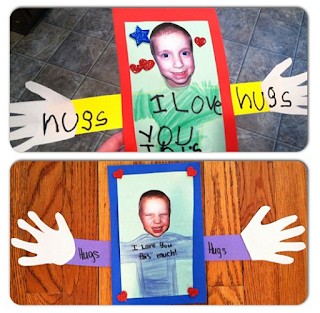 Those cards from your boys are adorable! Love all these goodies as always! !